Overview... a former tennis prodigy. Alas, his nervous breakdown on the court – coinciding with the day of his beloved half-sister Margot’s wedding to Raleigh St. Clair – ended his career. He lives for many months aboard an ocean-liner at sea, drinking Bloody Marys. He finally comes home when he hears his father, Royal, is sick with stomach cancer. Personality… depressive, obsessive, and spent. Richie seems to have used up all his energy on the tennis courts. He is perhaps the most level-headed of the Tenenbaum children – possibly because he had always been his father’s favorite – but he still has the capacity to make horrible decisions and let his emotions influence his entire career. 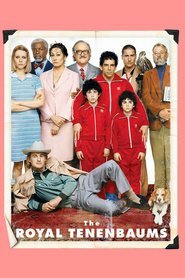 Richie Tenenbaum's popularity ranking on CharacTour is #2027 out of 5,000+ characters. See our top-ranked characters and read their profiles.